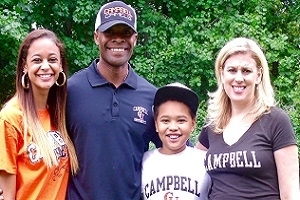 This weekend is Campbell’s Family Weekend, which is a weekend where families can experience the atmosphere of campbell. Each year Campbell’s bookstore, Barnes and Noble, sponsors a family who they feel like represents the university well. Last year the Gilbert family was deemed 2015 Family of the Year. Each year a new family is chosen, this weekend the 2015 family will be announced at the game on Saturday at 6pm. Please remember to come attend and support you Campbell football team!! Junior, Jenny Hegarty, is a Marketing major and an Psychology minor from Fuquay-Varina, North Carolina. Read this article to learn more about Jenny’s way of using her talents to show Campbell Pride. I’ve taken a camp with the Radio City Rockettes, and had the opportunity to dance in the Radio City Music Hall for a week when I was in high school! It was such a life­changing experience that I will never forget! Q: What activities do you participate in? 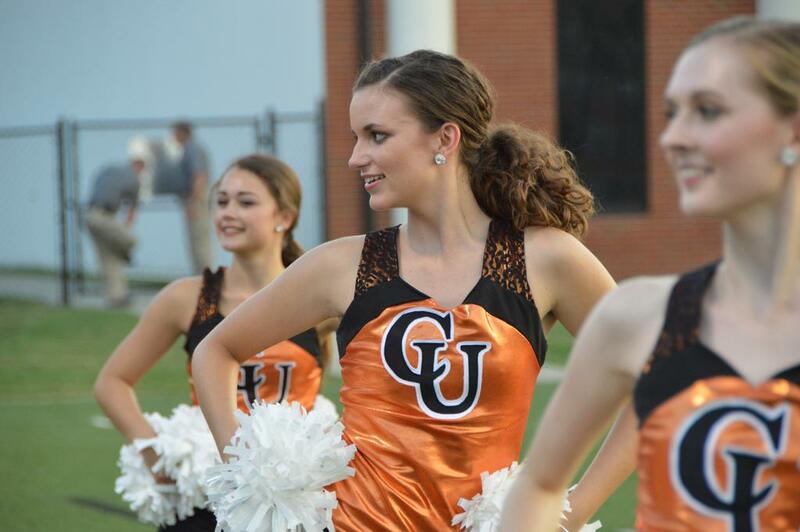 I am a Resident Assistant (RA) in Hedgpeth Hall, as well as a member of the Campbell University Dance Team, the Christian Business Initiative Club, and the Marketing Club! Q: As a new member of the Campbell Dance Team, why do you choose to show your school spirit through dancing? My favorite part of dancing is that it takes me away from everything else in my world. When I am dancing and moving, I feel so free from the expectations of school and other stresses in my life. When I dance, I feel like the purest, most joyful form of myself. It’s a very addictive feeling. I have never felt so much pride for my school until I saw the fans at the first game. It made all of the hard work worth it when I saw the fans engaging in our band dances and cheering on the Camels. It’s a great feeling to see people waving at you and taking your picture because its a special moment to me as well as my peers. Q:Why did you choose your major? What are your plans for after graduation? I eventually would like to open up my own dance studio, and to do that, I need to learn how to run my own business. Creative people are often so good at choreographing and absorbed in teaching that they have no knowledge of how to manage money, advertise, or run a business efficiently. I’m hoping that as a Marketing major, I will learn how to market myself and my future studio while gaining a general knowledge of accounting, business law, and communications in addition. I’m also minoring in Psychology so I can attempt to learn as much about common developmental patterns of the aged children I will be teaching in my classes. Q: If you could give one piece of advice to Campbell students, both current and future, what would it be? If I could give anyone advice who is coming to Campbell, my biggest thing I like to talk to other people about is using every experience to build yourself into a strong person. I try to encourage my residents to get out of their comfort zones and do things that excite them in life. I think it is so important to try new things without letting the fear of failure control your decision making process. Each time you fall does not make you into the person that you will become, but how you get up shapes who you are. College is a time where there is lots of falling because everything is new and unfamiliar, but we really decide who we are when we choose how we are going to get up when we find ourselves in tough situations. Get comfortable with being uncomfortable!